FreeZone bounty campaign will be explained in details below. Total allocation for the bounty is 1% of total token supply sold. This means that if all 500,000,000 tokens are sold — 5,000,000 will be distributed amongst bounty participants. With the initial price of 0.2 USD, it means that the value of the bounty prize pool could be stunning 1,000,000 USD! Bounty participants will be split into bounty pools based on their method of contribution with each pool having its own distribution FreeZone tokens. The fairest way to share the tokens in the bounty is by using the “stakes” system. You will be awarded “stakes” for each task you successfully complete in each pool. At the end of the token sale, the entire value of the pool will be distributed to the stakeholders based on the number of stakes they hold. The campaign will end when ICO finishes or when we sell all tokens. This means that the Bounty will end on April 20th, or before if all tokens are sold. Once a week our bounty-manager will be checking and renewing your status in the spreadsheet. Weeks will start on Monday (00:00 GMT) and end on Sundays (23:59 GMT). You can join the Bounty Campaign at any time, but you can’t get stakes for the weeks that you have missed. Naturally, the sooner you do it, the more tokens you will get. The final spreadsheet stating all the tokens earned by each partner will be available within ten days after the end date of ICO. Each participant will be personally notified by email when the tokens are sent. If you have any questions, just send us an email to bounty@freezone.one or contact @RatkoStambolija on Telegram. Always ask before beginning translation and post your previous translation work. 3: Translations must be delivered within 10 days of reservation. We only accept translation reservations for the first two weeks. 4: Manager and owners reserve the rights to add rules, or do any kind of reasonable changes. Help us spread the word about FreeZone on Reddit. We have decided to give really high number of stakes as an incentive for all of you to promote us on Reddit. 5. Share the URL to the Reddit post you made in Bounty Topic. You have to post at least 2 tweets per week about FreeZone with the hashtag #FreeZoneTokenSALE. Max 1 tweet per day. Tweets need to be posted here every week. Users must have at least 300 friends. You have to make at least 2 post per week about FreeZone, with the hashtag #FreeZoneTokenSale. Only 1 post per day allowed. Posts must be posted here every week. The audience for the posted article must be crypto related or match a use for FreeZone or promote the token sale to a suitable audience. Website must have a genuine audience. Headlines for all articles/blog/review posts must be SEO friendly and contain the keywords FreeZone ICO. Writers should familiarize themselves with the official white papers to ensure accurate depiction of FreeZone’s strategy, features, uses and technology. We are giving a huge number of stakes to motivate users to create videos about FreeZone ICO. Describe FreeZone, ICO and it’s features. You can upload them on Youtube and other sites. You can promote the crowdfunding ICO, or the concept, but you can also promote the Bounty Program itself to bloggers and social media influencers. The larger the audience and growth of FreeZone, the greater the value of your FreeZone token will be on the exchanges. Join our channel and get stakes! Each member that joins will receive 40 stakes. Members must stay in the group until the end of the campaign. This is a one-time offer. Help us spread the word on Telegram! If you are an admin in cryptocurrency related group on Telegram, write three posts about FreeZone with the following link — http://freezone.one/ and get a high number of stakes! 4. Upload the screenshot (using imgur, postimage or similar) and send the screenshot on telegram: @RatkoStambolija with “Telegram week X”, where the “X” is a week number. FreeZone reserves the right to accept or reject any new participants during or after token launch. Be sure to read all terms and conditions before sending us any submission. If you send us a submission for this bounty program, you are agreeing to these terms. 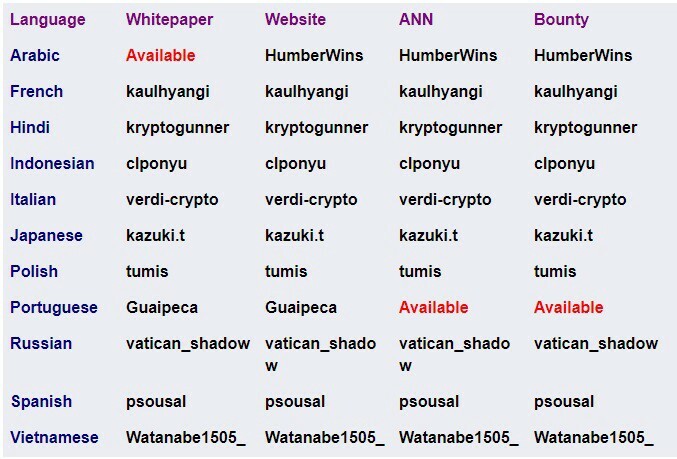 If you do not want to agree with these terms, do not send us any submissions or otherwise participate in this bounty program. You acknowledge and agree to take all commercially reasonable measures to ensure that the goodwill and reputation of FreeZone is preserved and protected. FreeZone has the absolute discretion to determine whether the bounty conditions have been met. Any disputes or claim arising out or in connection with the bounty program shall be governed by and construed in accordance with the laws of the Russia.